Alaska Foot & Ankle Specialists is proud to sponsor the 2014 Alaska Heart Run. 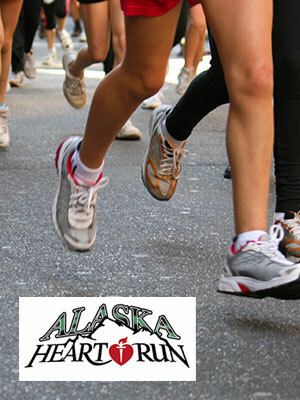 The Alaska Heart Run is the largest 5K race in Alaska. Participants travel from across the state to participate in this fundraising event benefiting the American Heart Association which raises funds to aid in the fight against heart disease and stroke. Did you know that heart disease kills more people in America each year than any other disease? And that stroke is a leading cause of disability and the No. 4 killer? Just 30 minutes a day of physical activity can lead to a stronger, healthier body. Take a small step toward better health by being physically active just 10 minutes 3 times per day.